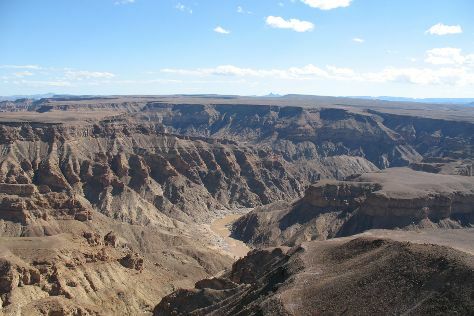 You've now added Fish River Canyon Nationalpark to your itinerary. Start off your visit on the 30th (Wed): walk around Zoo Park, see the interesting displays at Trans-Namib Railroad Museum, stop by The Diamond Works, then hunt for treasures at Namibia Craft Centre, and finally explore the stunning scenery at Fish River Canyon Nationalpark. To find maps, ratings, and tourist information, go to the Windhoek journey planning website . Ottawa, Canada to Windhoek is an approximately 30-hour flight. The time zone difference moving from Eastern Standard Time to Central African Time is 7 hours. Plan for a bit cooler nights when traveling from Ottawa in August since evenings lows in Windhoek dip to 12°C. Finish up your sightseeing early on the 31st (Thu) so you can go by car to Keetmanshoop. Keetmanshoop is a city in the ǁKaras Region of southern Namibia, lying on the Trans-Namib Railway from Windhoek to Upington in South Africa. Start off your visit on the 31st (Thu): let the kids burn off some steam at Quivertree Forest and Giant's Playground and then admire the engineering at Naute Dam. For ratings, other places to visit, and more tourist information, refer to the Keetmanshoop trip itinerary maker. Traveling by combination of flight and car from Windhoek to Keetmanshoop takes 6.5 hours. Alternatively, you can drive; or take a train. In August, daytime highs in Keetmanshoop are 28°C, while nighttime lows are 9°C. Finish your sightseeing early on the 1st (Fri) so you can travel to Rosh Pinah. Start off your visit on the 1st (Fri): see the interesting displays at Rosh Pinah Geo Centre and then explore the stunning scenery at Fish River Canyon. For where to stay, reviews, traveler tips, and other tourist information, use the Rosh Pinah trip generator. Drive from Keetmanshoop to Rosh Pinah in 3.5 hours. Finish your sightseeing early on the 2nd (Sat) to allow enough time to travel to Aus. Aus is a settlement in the ǁKaras Region of southern Namibia. On the 2nd (Sat), identify plant and animal life at Pozza di Garub - Cavalli Selvaggi and then look for all kinds of wild species at Wild Horses of the Namib. For more things to do, photos, maps, and tourist information, read our Aus holiday planner. Getting from Rosh Pinah to Aus by car takes about 2 hours. In September in Aus, expect temperatures between 32°C during the day and 13°C at night. On the 4th (Mon), you'll travel to Luderitz. On the 4th (Mon), see the interesting displays at Luderitz Museum, pause for some serene contemplation at Felsenkirche, then visit a coastal fixture at Diaz Point, then admire nature's extreme beauty at Agate Beach, and finally contemplate the long history of The Goerke House. 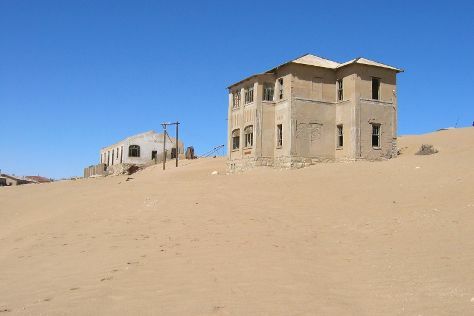 Keep things going the next day: see a world frozen in time at Kolmanskop Ghost Town. For other places to visit, where to stay, traveler tips, and more tourist information, go to the Luderitz travel itinerary creator. Getting from Aus to Luderitz by car takes about 1.5 hours. Expect a bit cooler weather when traveling from Aus in September: highs in Luderitz hover around 24°C, while lows dip to 12°C. You'll have a few hours on the 6th (Wed) to wrap things up before traveling to Sesriem. Sesriem is a small settlement located in the Namib Desert, in Namibia, close to the southern end of the Naukluft Mountains. For where to stay, reviews, ratings, and tourist information, use the Sesriem vacation builder. Drive from Luderitz to Sesriem in 8.5 hours. Wrap up your sightseeing on the 8th (Fri) to allow time to travel to Solitaire. Solitaire is a small settlement in the Khomas Region of central Namibia near the Namib-Naukluft National Park. 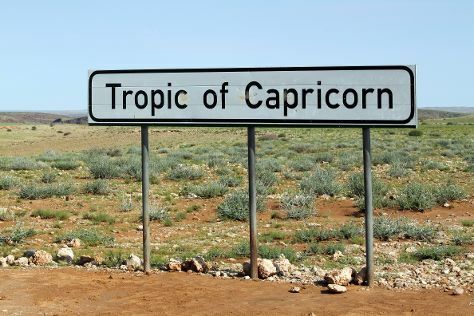 You've now added Tropic of Capricorn Sign to your itinerary. On the 8th (Fri), look for all kinds of wild species at Namib Carnivore Conservation Centre. To find maps, where to stay, traveler tips, and more tourist information, go to the Solitaire trip planner. You can drive from Sesriem to Solitaire in 1.5 hours. Expect a daytime high around 23°C in September, and nighttime lows around 11°C. You will have some time to spend on the 10th (Sun) before leaving for Walvis Bay. Kick off your visit on the 10th (Sun): take a leisurely stroll along Walvis Bay Waterfront. For where to stay, maps, reviews, and more tourist information, use the Walvis Bay trip planner . Traveling by car from Solitaire to Walvis Bay takes 7.5 hours. In September, daytime highs in Walvis Bay are 24°C, while nighttime lows are 12°C. Finish up your sightseeing early on the 11th (Mon) so you can go by car to Damaraland. 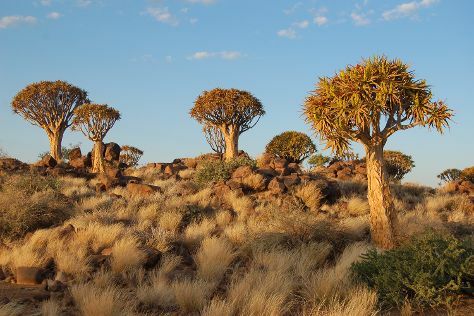 Spitzkoppe has been added to your itinerary. On the 12th (Tue), hike along Spitzkoppe. To see maps, photos, where to stay, and other tourist information, read Damaraland vacation planner . Getting from Walvis Bay to Damaraland by car takes about 3.5 hours. Finish your sightseeing early on the 12th (Tue) to allow enough time to drive to Grootfontein. Grootfontein is a city of 23,793 inhabitants in the Otjozondjupa Region of central Namibia. Hoba Meteorite has been added to your itinerary. On the 13th (Wed), don't miss a visit to Helvi Mpingana Kondombolo Cultural Village and then take in the dramatic natural features at Hoba Meteorite. To see traveler tips, photos, other places to visit, and other tourist information, read our Grootfontein trip generator. You can drive from Damaraland to Grootfontein in 6 hours. Alternatively, you can fly. In September, plan for daily highs up to 36°C, and evening lows to 13°C. On the 14th (Thu), you'll travel back home.